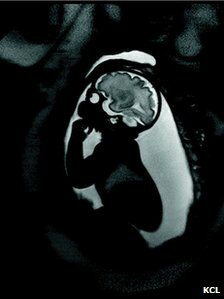 “UK scientists have embarked on a six-year project to map how nerve connections develop in babies’ brains while still in the womb and after birth. By the time a baby takes its first breath many of the key pathways between nerves have already been made. And some of these will help determine how a baby thinks or sees the world, and may have a role to play in the development of conditions such as autism, scientists say. But how this rich neural network assembles in the baby before birth is relatively unchartered territory.